It happens every year. It seems like fall just started, and suddenly the holiday season is upon us! There are many things we love about this time of year, but we have to say that holiday light displays are at the top of the list. 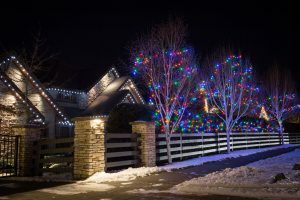 While you might be tempted to go full Griswold and cover every square inch with lights, there are a few things you should consider before putting up your display this year. Here’s what you need to know in order to create a beautiful look that everyone will enjoy. The best way to ensure everything goes smoothly when you’re setting up your Christmas lights is to start early. (But not too early! You probably don’t have to start in September.) For most homes with relatively simple designs, it’s appropriate to start in November or early December. If you leave it until the last minute, you’ll have a hard time getting the look you want. If you’re hoping to create a more intricate or elaborate design, you’ll need plenty of time to plan it all out. If you wait too long, it could be hard to find the right kind of lights you need, leaving you with an incomplete look. Of course, weather plays a factor as well. 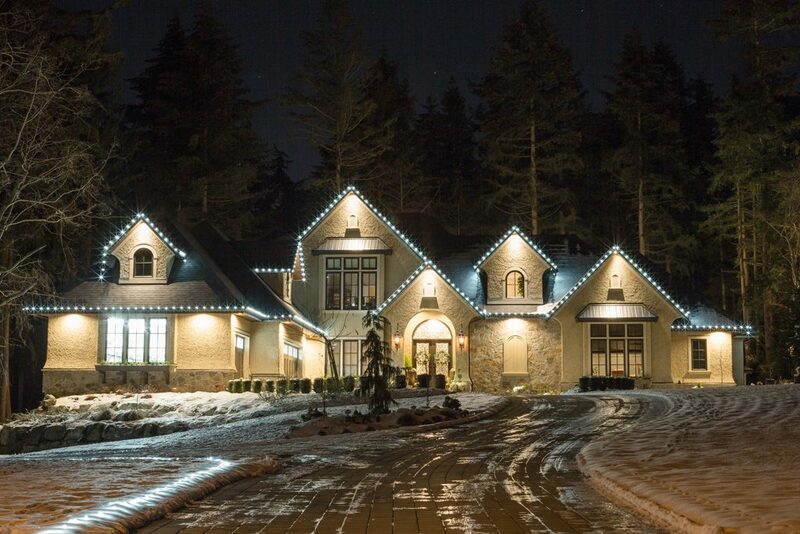 As you get deeper into winter, harsh weather could make it hard for you to put up your lights. After all, you don’t want to end up trying to climb up on a ladder in the middle of a snowstorm. Feeling inspired by an elaborate setup you saw last year? While you might be tempted to go wild right out of the gate, it’s best to keep things simple in the beginning. Start with a classic design at first and slowly add more strands of lights until you have the look you want. It’s easier to test out a couple of new elements at a time, rather than doing it all at once. Christmas light displays are a wonderful tradition, but you don’t want to end up with a huge electricity bill because of your light display. Choosing the right lights can make things much cheaper in the long run. Keep things affordable by going with LED lights. They use less electricity, making them an environmentally friendly choice, and will save you money in the long run. Even though they use less energy, they shine brighter than incandescent bulbs, which makes for a gorgeous display. Another huge bonus of LED lights is that they last longer, which makes them a much better investment over time. Everyone loves the warm glow of lights in the neighborhood at Christmas time, but before you go crazy and create a display that lights up the whole entire block, it’s probably a good idea to check in with your neighbors first. This won’t be an issue for most since most light displays are pretty tame. However, if you’re adding something very elaborate that might shine extra light into their home, or draw traffic to the area, you’ll definitely want to consult them first. While it might seem easier just to do the whole job yourself, you really shouldn’t attempt it. It’s always nice to have a helping hand, but it’s actually a must if you’re going to be climbing up on a ladder. You’ll need someone to hold it steady for you, and offer assistance from the ground. If you’re installing your own lights, you should also pay close attention to the weather. You don’t want to go up on the roof or climb a ladder when it’s icy or extra slippery out. So be careful! Putting up Christmas lights can be a lot of work. If this all sounds like too much, there’s always the option to bring in the professionals. They can work with you to create a custom design and do the installing for you. Better yet, they’ll also come back at the end of the season to help you take everything down and get it ready for storage. It’s a great way to keep your home looking festive without having to climb up on a ladder yourself.